Dr S Streram (PKR) was heavily defeated by Mohamad Hasan (UMNO) in Rantau by-election. The UMNO acting president has a majority of 4,510 votes over his opponent. Meanwhile, independent candidates R. Malarvizhi and Mohd Nor Yassin only received 83 and 79 votes respectively. The top candidates of the by-election are undoubtedly going to appear on the influencers list of the topic “Rantau PRK”, but it is unexpected that Datuk Seri Anwar Ibrahim would top the rest with second place on the list. Reports indicate that the Port Dickson MP is the advocate for his fellow PKR candidate for Rantau by-election. However, the electoral result is not in their favour. Anwar has made numerous statements and vouched for Streram in many cases. He also cited Streram’s past humanitarian acts in conflict countries as one of his strengths. The Star reports on how Anwar tried to persuade Rantau voters to not support UMNO because they deal with racial and religious sentiments instead of the interest of the public. “Just because I put an Indian candidate here in Rantau, Malays are not supporting him?” he questioned. As a contrary, The Sun Daily reported on Anwar saying that he was confused over the Chinese in Rantau voting for BN. Additionally, Anwar quotes how BN ridiculed Chinese and other non-Malays by calling them “penumpang” (free-loaders). This was a reference to MCA leaders’ support for Hasan. 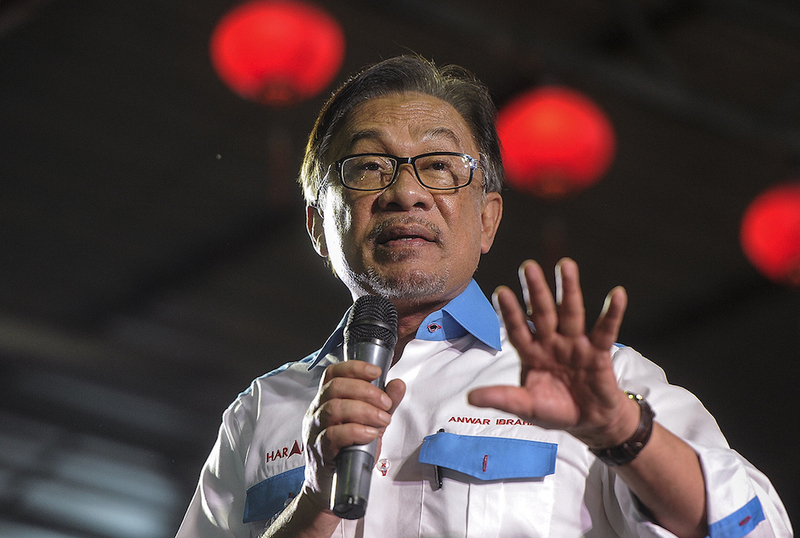 It is also a question whether Anwar’s statements have become a double-edged sword for Streram, hence the loss. 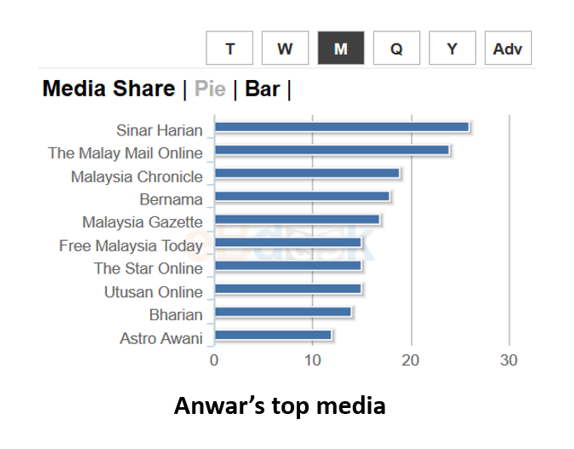 Further analysis on Anwar’s influence on the matter shows both Sinar Harian and The Malay Mail are more incline to report on the PKR president’s movement. As for the absence of Prime Minister and PH chairman Tun Dr Mahathir Mohamad, Selangor MB Amirudin Shari claimed it was unnecessary for Tun M to be present as his priorities lies in healing the country, and no speculation is needed in the matter.